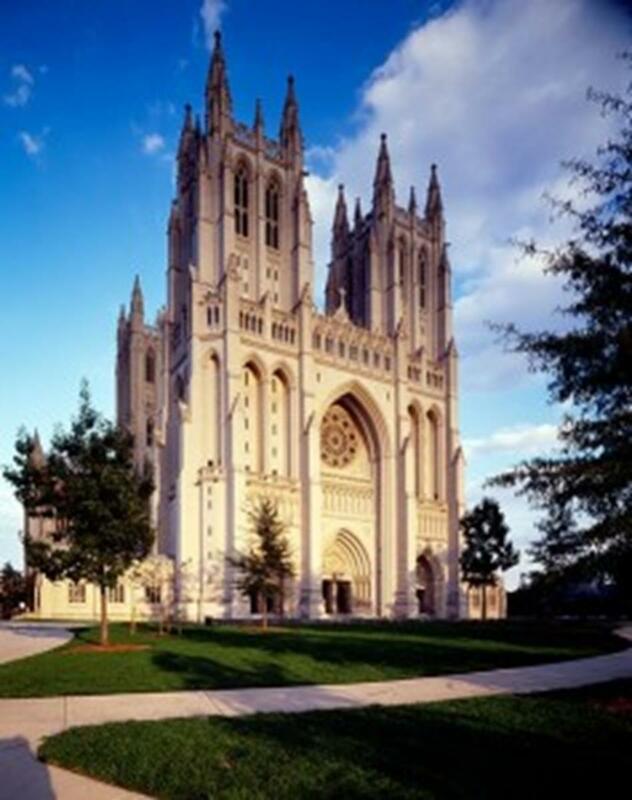 The sixth largest cathedral in the world, second largest in the United States, was constructed between 1912 and 1990 in an imitation of the English Gothic style. It consists mainly of an eight-bay nave and 300-foot tower. Of its more than 200 stained-glass windows, the Space Window, complete with a fragment of lunar rock, is the best known. The country’s largest Catholic cathedral occupies an entire New York City block. Facing Fifth Avenue, the Patrick’s white marble and stone structure, built between 1858 and 1879, has hosted the funerals of famous people and many of the fallen police officers and firefighters in the 9/11 attacks. A vast interior, seating over 2,000 people, is flooded with natural light streaming through stained-glass windows. Two 330-foot spires bookend the façade and provide a refreshing alternative to surrounding skyscrapers. The majority of construction took place from 1908 to 1926, yet the defining element, the mosaic, was not completed until 1988. The interior of Cathedral Basilica of Saint Louis houses one of the largest mosaics in the world; over 41 million pieces of finely detailed glass give the walls and ceiling the appearance of a fluid painting rather than an assemblage of glass. 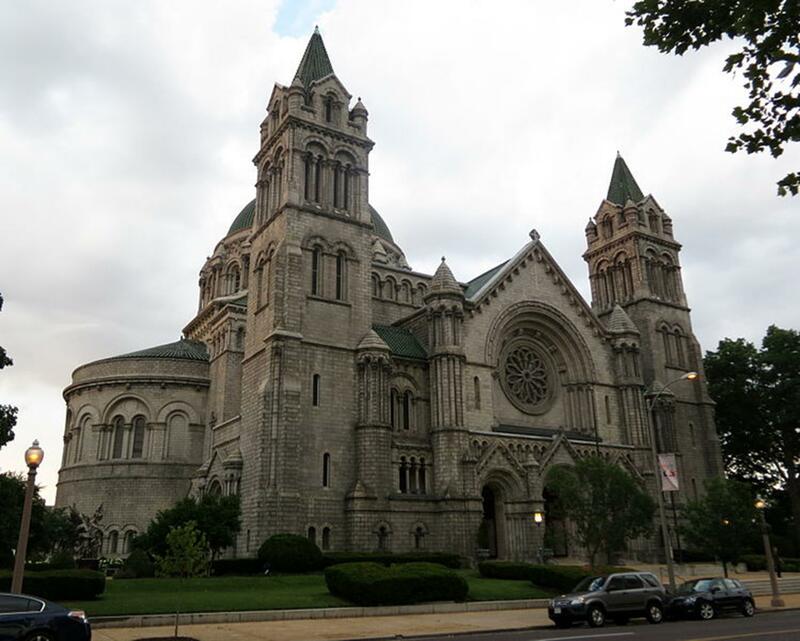 The exterior, which consists of two towers and three domes, is Romanesque and a distinguished form on the St. Louis skyline. The oldest, continually active Roman Catholic cathedral in the United States is on Jackson Square in the heart of the French Quarter. Various natural disasters devastated the original structures, making way for the current St. Louis Cathedral during the mid 19th century. Three steeples tower above the French Quarter and, as some of the tallest and most imposing structures in New Orleans, anchor the cathedral’s powerful architectural presence. The congregation began in 1955 in the parking lot of an Orange County drive-in movie theater. This inspired the construction of Crystal Cathedral, which was intended to accommodate an audience listening from their cars, as well as those in the nave. 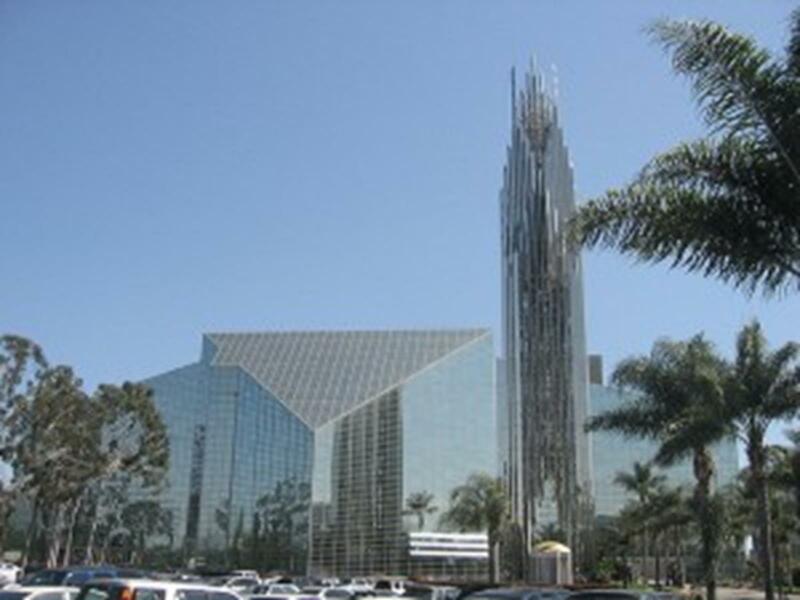 Home to the Hour of Power television show, Crystal Cathedral not only revolutionized religious services, but also religious architecture. Over 10,000 glass windows make up the walls and mirror the 236-foot, stainless-steel bell tower.